Earlier in December, the internet was abuzz with news of Tumblr’s declaration that it would ban adult content on its platform starting December 17. But aside from the legal, social and ethical aspects of the debate, what’s interesting is how the microblogging platform plans to implement the decision. 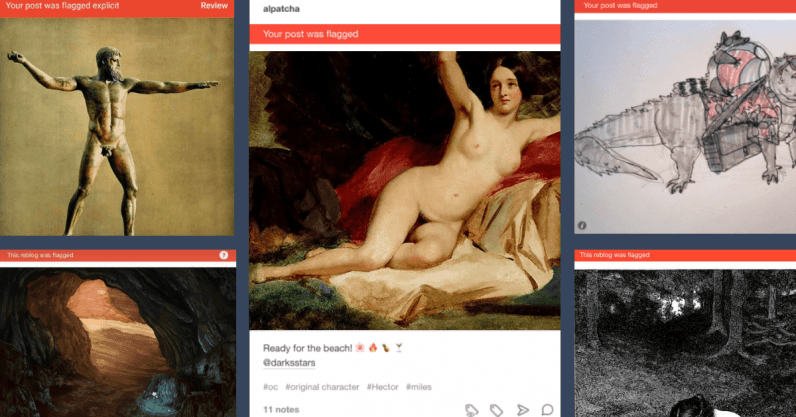 According to a post by Tumblr support, NSFW content will be flagged using a “mix of machine-learning classification and human moderation.” Which is logical because by some estimates, Tumblr hosts hundreds of thousands of blogs that post adult content and there are millions of individual posts that contain what is deemed adult content. The enormity of the task is simply beyond human labor, especially fora platform that has historically struggledto become profitable.